Hello! I would like to know if we can send the collected data from the EMG sensor through a bluetooth module to the android card? If yes, should I choose a specific bluetooth module to mount with the EMG sensor? I am currently working on a school project, any help is appreciated. Thanks. Hello! 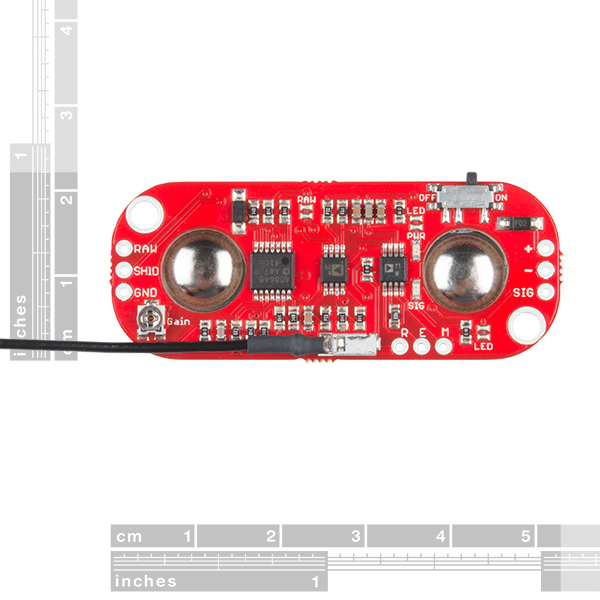 Are there any references for integration of this to the conductive fabric ? i would like to use this sensor for my problem on the jawbone. (TMJ disorder) I would like to get signals while working on the computer about the muscle tension on the joint muscles of my jaw bone. I know it is a treatment applied in the therapy sessions but since I am a maker myself, I thought i can use your item. Do you think it would sense the tension there maybe it is not as strong as on the arm or so ? I bought it for my project purpose.. but I don't know the product details..Can you help Me to explain about this product to my teacher.. I bought this device along with the Myoware Cable Shield and my device is giving me incorrect readings. The red light to say that the "Muscle is contracting" is constantly on! Does anyone know why this is happening? I am not sure if you have resolved the issue but did you try adjusting the gain? 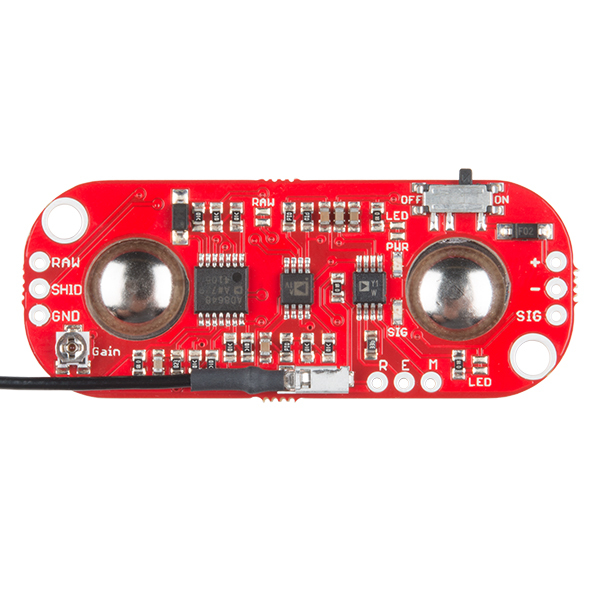 Try looking at my troubleshooting comment here => https://learn.sparkfun.com/tutorials/myoware-muscle-sensor-kit/discuss#comment-58dd3817f3b1a87e608b4568 . Is the isolation amplifier necessary if the USB port is plugged into a computer that is not connected to the power grid? The sensor accompanies the Biomedical Sensor Pad? One complaint is that the connector that is supposed to be attached to the user's bony area is way too short. There is not a good bony area that close to a large muscle (such as the bicep). Do you happen to know what the frequency range is and where the rolloff/cutoff points are set at? It is just the device that we need for our Project. We purchased 6 for a lab class I'm teaching. Only 4 worked well. Other two were totally unreliable. The sensor works almost fine but the attached wire for the reference terminal is not too long enough so we are unable to get the required values accurately. Moreover, there is not provided any manual for specifically this model. We will be thankful to you if you people help us on its REAL TIME DATA acquisition. 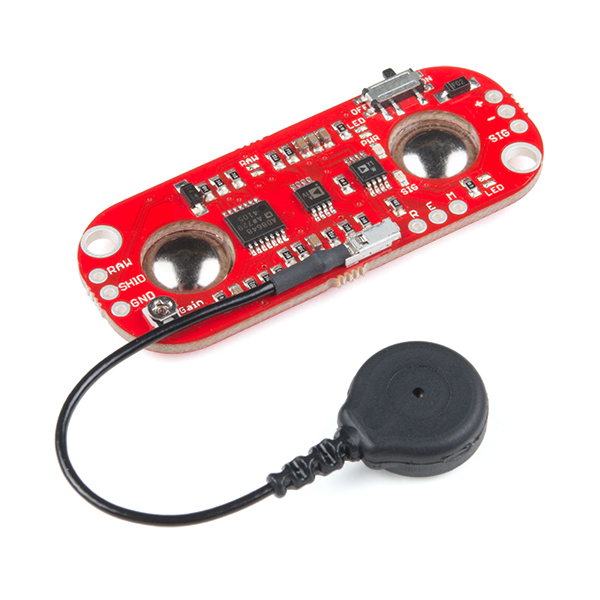 Have you contacted our technical support department over at Techsupport@sparkfun.com ? They can help you to troubleshoot and potentially help you out with your real time data acquisition if you reach out to them. 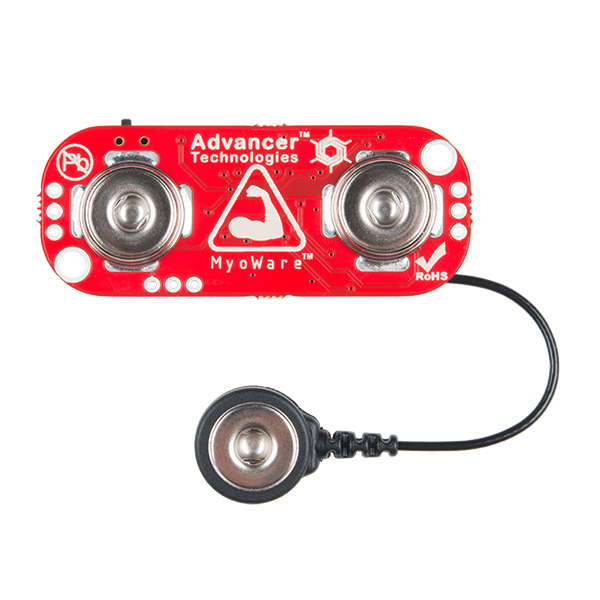 The Myoware sensor works great and is easy to set up. I was able to get a NeoPixel strand test set up right away. My only issue is that it requires three EKG pads or whatever they are called for every other use which adds up quickly. If there was a $10/$20 reusable option for the pads, I'd give this product 5 stars.